The Promise: "Create lips that look full and glossy, without feeling sticky with this liquid lipstick"
The Application: The Illamasqua Intense Lipgloss applies like an absolute dream. The thin brush applicator and creamy texture enable the gloss to glide onto the lips easily with precision. The consistency is thin enough to not clump or go tacky and thick enough to stay in place. It is also tasteless and scentless which, to some lip gloss lovers, is a huge benefit. 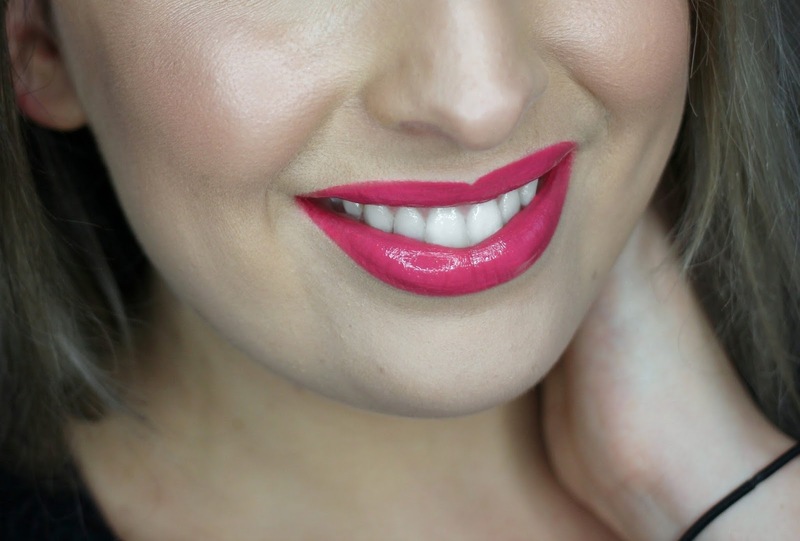 The Results: The lipgloss provides the most gorgeous fuschia pink colour and the glossiest of finishes. It is so highly pigmented that you can achieve full cover with just one layer. The Intense Lipgloss also has seriously good staying power, lasting a good 4-5 hours. However one of its best qualities is that it - unlike many lip glosses - doesn't form a nasty line of residue on the lips hours after application. The Pro: The Illamasqua Intense Lipgloss is the shiniest and smoothest lip gloss I've ever used. The Con: The glossy finish doesn't last as long as the colour itself, however I'm a little guilty of expecting too much! The Tuesday Tip: Egg White Face Lift!